Jackie Silberg, who has an M.S. in child development, is an early childhood advocate and popular keynote speaker. She received the Distinguished Alumna Award from Emporia State University, recognizing her current achievements as well as her long and prolific career. Jackie founded and directed the Jewish Community Center School of Music in Kansas City, Missouri, and worked for Channel 41 television, planning the music and performing her original music for a children's program called "41 Treehouse Lane." She wrote and produced a television show for Time Warner called "Just Kids," which addressed children's needs and interests. Jackie has worked as a consultant with the Discovery Channel, setting up their music streaming website. She has given workshops, keynote addresses, seminars, and family concerts throughout the U.S., Canada, Australia, Germany, and in Singapore. 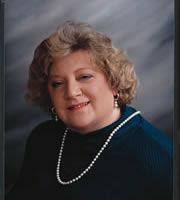 Jackie has served as an adjunct instructor at both Emporia State University and the University of Missouri at Kansas City and lectures at Johnson County Community College. Jackie is the owner of Miss Jackie Music Company.